• 6-Weeks Training Plan/ 5 days a week plus one unload week. • On the endurance side, we’ll move away from unloaded distance, to loaded work-ruck running. • Strength – lower body will include single leg work, and an emphasis on the posterior chain. • This training plan is one of the 130+ Plans included with an Athlete’s Subscription. CLICK HERE for more info. 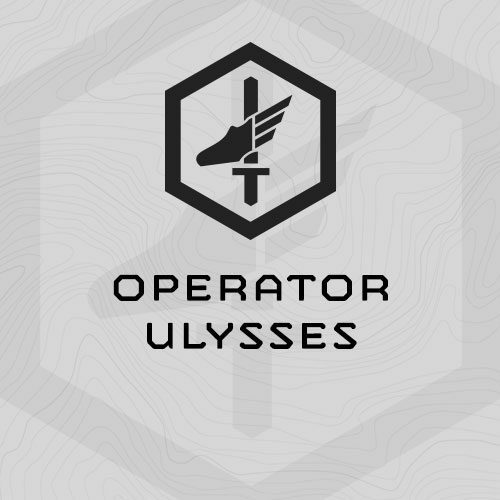 With Ulysses we’ll pivot away from an emphasis on strength, work capacity, and Chassis Integrity, to endurance. On the endurance side, we’ll move away from unloaded distance, to loaded work – ruck running. Strength – lower body will include single leg work, and an emphasis on the posterior chain. Upper body work this cycle will be all bodyweight – push ups, dips, pull ups, etc.